Since I've been working out more lately my muscles have been super sore lately. This translates into more baths for me. 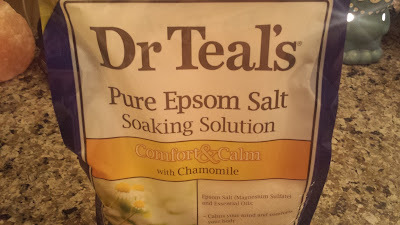 I love Epsom salt for sore muscles and usually I use a lavender scented one to relax. The last time I bought Epsom salts I decided to try something different and I noticed these Chamomile scented ones for comfort and calm. Even though I do like this one I have to admit I still like the lavender ones better. Before I work out I always wipe off my makeup with a makeup remover wipe but with all the sweating (ew, I know, I'm sorry) my pores still get clogged and my skin hasn't been feeling or looking that great lately. 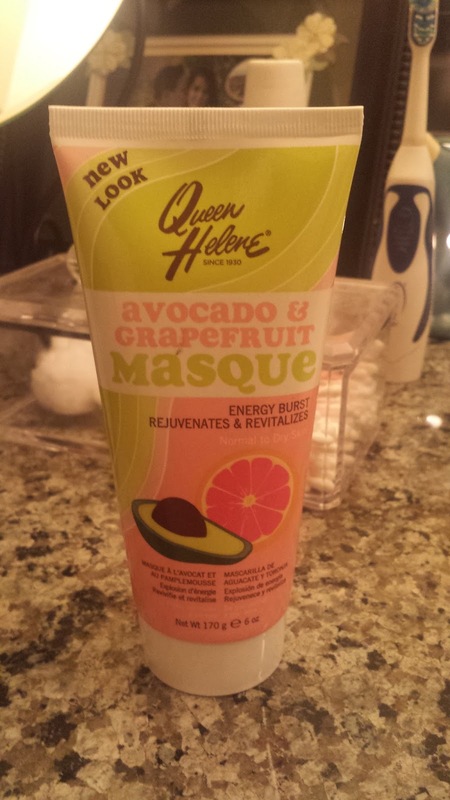 I love this Queen Helene Avocado and Grapefruit Mask which rejuvenates and revitalizes because I instantly see results. It's also super affordable; I picked mine up at Sally's for around $3. What are you loving for relaxation this week? Great product recommendations! I am always looking for products to help improve my skin. I'll have to look into the mask...it seems like a great deal!